To those of you unfamiliar with the world of online casinos or in fact even land based casinos, some of the terminology can be a little bewildering. 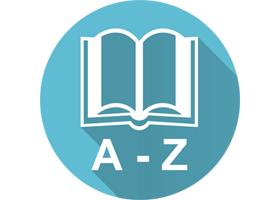 As such, just to help you get familiar with some of the terms used, we’ve put together a list of common words and descriptions of what these mean within the context of an online casino. Bankroll: The cash balance amount that players use to play games with. Bet: The amount risked on a result for a possible return. Cash back: A loyalty program that the casino offers to reimburse a certain amount to the player. Comps: Complimentary gifts given to the player or points given to the player which can be exchanged. Deposit: To add an amount to your current cash balance maintained with the casino. Even money: A bet that will pay the amount equal to the money that you wagered. High Roller: A player who placed big bets and either wins or loses big. License: A formal certificate from a jurisdiction that allows the online casino to operate under the jurisdiction rules. Good licenses are there to protect the customer and should give players confidence that they’re playing with a reputable operator. No deposit bonus: A cash/non-cash bonus offered by the casino that players receive after registration and before the first deposit. Operators: A company that controls and manages all functions within the online casino. Promotions: Cash or non-cash incentives offered by the online casino to new or existing players. Session: The time a player spends playing games at the casinos. Sign in: To login to your casino account. Sign Up: To register a new account in the casino. Software clients: Companies that provide online casino games played and wagered on by players. Stake: A single bet amount placed by a played on a casino game. VIP club: A tier system setup by the casino for loyal players where they win special promotions and gifts. Wagering Requirements: A stipulation attached to a bonus where players have to play through the bonus amount X number of times in order to claim it as cash. Welcome bonus: A bonus amount offered by the casino for the first deposit. Withdrawal: To draw out cash from the cash balance maintained by the player. 1024 ways: A slot game with 5 reels and 4 rows where identical symbols on adjacent reels pay. 243 ways: A pokie game with 5 reels and 3 rows where identical symbols on adjacent reels pay. 3D pokie: A type of slot game that displays 3D images and animations as graphics. Bet levels: No. of coins of a set value. Bet max: Play with the maximum number of coins possible. Bonus features: Special pays that slot games offer apart from regular symbol payouts. Bonus games: A game within a slot game which is triggered by bonus symbols and takes you to a second screen and win bonus credits. Branded games: Slot games that follow a popular, globally recognised theme, storyline or characters whose rights are owned by a third party. Classic pokie: A traditional pub-style 3 reel pokie that uses old-skool slot symbols. Coin values: The denomination of a single coin in a slot game. Credits: The cash balance that is immediately available for a stake. Free spins: A bonus feature in a slot game that offers free spins for the initially placed bet. Gamble feature: A bonus feature that allows players to gamble their recent win to double or in some cases quadruple their recent win amount. Jackpot: The biggest single payout available in a particular slot game. Multipliers: A bonus that multiplies a win amount to reward your final pay. Paylines: A pattern that runs through the reels on which symbols must land for a payout. Payout: The coins or credits players win after a winning combination is spun. Paytable: A table that shows the payouts for each symbol and displays information about the slot game. Progressive: A jackpot that increases in amount as players wager on the selected game. Reels: The columns on the game where symbols spin. Scatter symbols: Symbols that do not need to land on a specific payline or a pattern for a payout. Spin: To trigger the reels to spin and stop at a random position. Symbols: The icons on the reels that are need to arrange on specific positions in order to pay. Theme: The genre that the slot game displays through the title, graphics and sound effects. Video pokie: A slot game that has 5 reels and displays regular 2D graphics. Wild symbols: A symbol that is able to substitute itself for any other symbol to create a winning combination. Ante bet: The initial chip that players stake before the cards are dealt. Blackjack: An initial two card combination of an Ace and a Ten, Jack, Queen or King which leads to an automatic win. Bust: A situation when the player’s card total goes over 21 and he automatically forfeits the hand. Chips: Tokens that are used to place bets on a blackjack table. Dealer: The virtual person who represents the house and deals the cards. Double Down: Placing a bet equal to the original stake for an additional card. Face Cards: The Jack, Queen or King card which have a value of 10 in Blackjack. Face Value: The original value of the card. Hit: To force the dealer to deal an additional card. Insurance: A bet that the player has the option to place in case of the dealer having an Ace as an Up Card. Insurance wins pay 2:1 if the dealer has a blackjack. Push: A situation where the dealer and the player have the same card total and all bets are reimbursed. Shoe: A device in which cards are shuffled and dealt. Split: An action that creates two independent hands from a single 2 identical card hand. Stand: A command to end your turn and trigger the dealer’s turn. Surrender: To forfeit your hand and subsequently forfeit half your ante bet. Up Card: The dealer’s card that is faced up and can be seen by the player. American Roulette: A Roulette game with a total of 38 numbers (00, 0-36) on the roulette wheel. Column bets: To bet that the ball will land on one of the numbers within one of the three sets of columns on the roulette table. Discard: To reject cards from the first five hand poker combination and draw new ones. Draw: To replace the held cards in a video poker hand with new cards. European Roulette: A Roulette game with a total 37 numbers, (0-36) on the roulette wheel. Even/Odds: A bet type in roulette where players bet on whether the ball lands on an even or odd number. Payout 1:1. French Roulette: A game of Roulette in which there are 37 numbers on the wheel and which consist of extra bets rather than just inside and outside bets. Inside bets: The betting area on the Roulette table that is covered by numbers. Joker card: A wild card in video poker that is able to replace for any other card. Outside bets: The betting area on the Roulette that surrounds the numbers that include categoies. Red/Black: A common bet type in roulette where players place bets on whether the ball lands on a red number or black number. Roulette Table: The table on which players place their bets on a Roulette game. Roulette Wheel: The wheel on which the croupier drops the ball after all bets are placed on the Roulette table. Row bets: To bet that the ball will land on one of the numbers falling within one of three sets of rows on the roulette table.